February 22 is Introduce a Girl to Engineering Day, and I’ve got a great way to do that! Take your girls to see BLACK PANTHER! If you missed my BLACK PANTHER review, you can read about how much I loved the film in my review post. 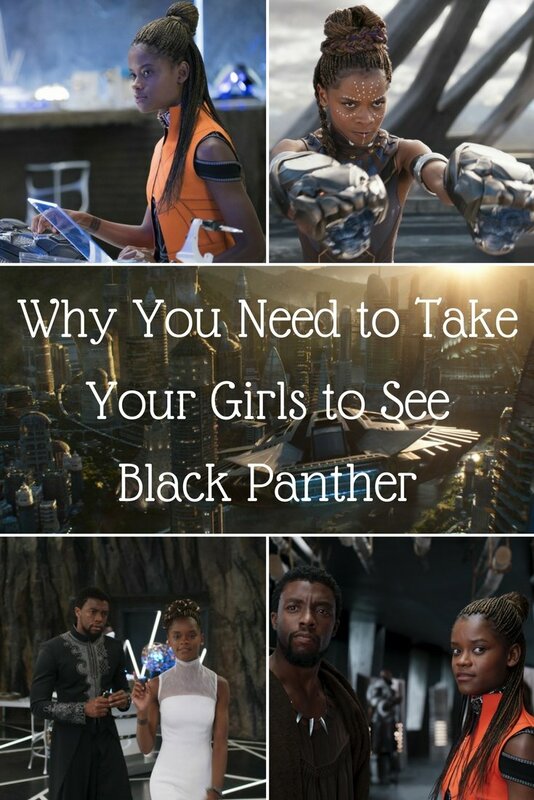 While I think EVERYONE should see BLACK PANTHER, I especially think this is an important movie for girls to see. Statistically, women are much less likely than men to pursue a career in the science, technology, engineering or mathematics fields. (STEM) Though half of the total U.S. college educated population are women, only 29% are in science or engineering fields. Of those, an even lower percent are in the engineering, computer or math fields. Why? Girls seem to peak in their interest in these fields around age 11 and then the interest drops off again around age 15. What happens when girls are 15? Well, there’s peer pressure to conform to the norm! Science and math are “boring” and for boys. Sadly, this is how a lot of girls are pressured to think. BLACK PANTHER gives girls an amazing example in Princess Shuri and the women of Wakanda. If you haven’t seen BLACK PANTHER yet, Wakanda is a fictional, technologically advanced African nation that is shrouded from the rest of the world. The rest of the world thinks Wakanda is a third world nation of farmers. 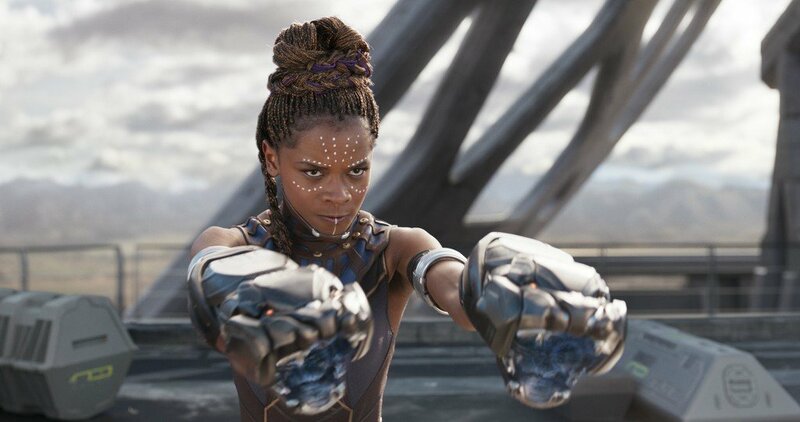 Yes, there are other amazing women in Wakanda and BLACK PANTHER, but Shuri is the one you should be talking about with your girls when it comes to engineering and technology. 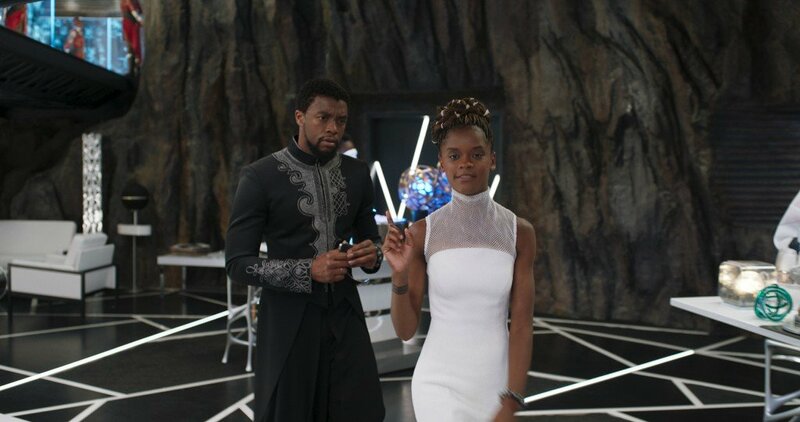 Shuri is a young PRINCESS for goodness sakes, yet she is the top scientist in the entire country of Wakanda. She is the innovator of Black Panther’s suits and technology. Shuri is someone girls can look up to as a role model. 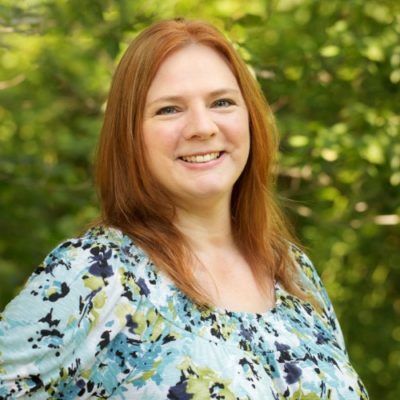 She is funny, snarky and smart. She’s not just a princess looking for a prince. She’s a rock star! The technology she creates is so cool, and she’s not afraid to get into the action herself. She is brave and beautiful both inside and out. I love that the BLACK PANTHER writers recognized that girls needed a role model who loves science, technology, engineering and math. They gave us an amazing one in Shuri. Go take your daughters, nieces, granddaughters, neighbor girls to see BLACK PANTHER! Let them see Shuri come to life on the big screen. Let them revel in the amazing technology that Shuri has engineered. Most of all, let them find a new role model who will show them it’s cool to be smart! BLACK PANTHER is playing in theatres everywhere now!